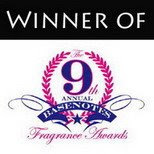 After eight years of perfume writing here in the on-line space, following my first works devoted to the Art of Perfumes, it's time to announce a change which has been in the air for a while. 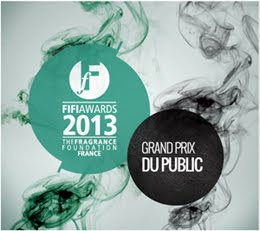 New perfume raw materials from all corners of the world were presented today in Paris at the Société Française des Parfumeurs. A very special day for those who know me closely. My new official position doesn't allow me to publish too much about the perfumes launched under various names on the market. I have decided to permanently close this address. If there are texts you loved, you can save them the next days. After, they will not be accessible anymore on this address, excepting several introductory articles - around 10-20 from the myrrhiad of my texts. They will be put in a book with other many detailed texts I wrote when it will be possible, if I have time and a good secretary. There are more than 5000 articles written in the past 8 years in various languages and websites (about a thousand only about aesthetics, formulation and creation), for more than 1,7 million perfume lovers which speak only one language - the Perfume. You can still discover many things on various other websites & forums about the new launches. I will preserve the beautiful addresses on the right bar of this page. We'll see each others very soon in a new Beautiful context. The round bottle you see on top is "Je reviens" in red (the original was cobalt blue, cca eighty years ago). I wish you a fabulous summer in the Perfume universe. There are many magnificent surprises. I wish to thank all of you, my dear readers, for the kind and beautiful words you e-mailed me after the announcement I made yesterday. Hundreds of e-mails I hope to answer in private. It is not a goodbye message, but a new dawn in a new context - Beauty. 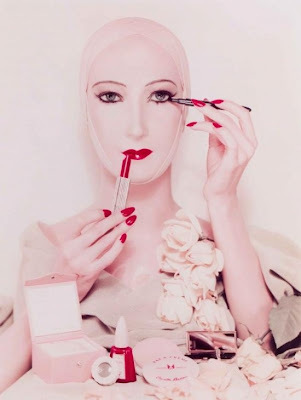 It is not the critic, nor le discours which matter - but only the personal relation between the scent and the woman, an un-compromised beauty which is not changed by fashion or reformulation. The art of perfumes is a form of love - the Judgment of Pâris on Mount Ida. Hermès, a golden apple from the Garden of the Hesperides, which has the inscription "for the fairest one", Pâris, Hera, Athena, Aphrodite and the beautiful Helen.The Perfume, as wrote a beloved writer from La Sorbonne, has a mythical and divine dimension we could not neglect. It is the first form of ART. 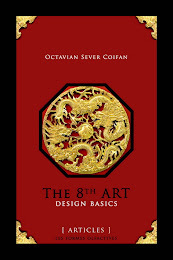 There are several books written in the last decade that I recommend you as an introduction. Each of them represent something for me and each represent something for the new Renaissance of Perfume. First, there is Chandler Burr, who organized in 2012 the first American exhibition devoted to the 8th ART at MOD - New York. He published The Emperor of Scent and The Perfect Scent . 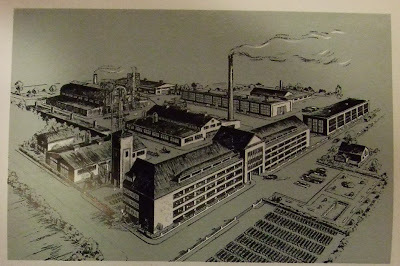 The second book made Jean Claude Ellena famous and ensured the success of Hermès. Perfumes: The A-Z Guide by Luca Turin and Tania Sanchez will guide you with the new genre which emerged in the last decade - perfume criticism. For the scientific background of the perfume, I recommend you the opus Scent and Chemistry the edition updated by the well known scientist Philip Kraft - he invented all the musks which adorn your skin in all products you use. If somebody loves your skin its because of a captive ingredient. There are also two literary novels which present the wonderful universe of perfume and its endless romances. 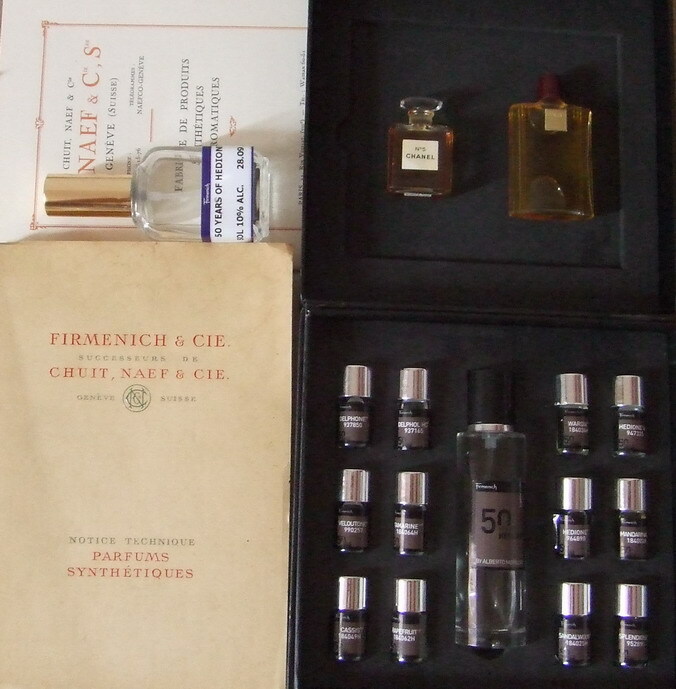 The Perfume Lover which describes the birth of an artisan parfumeur and The Book of Lost Fragrances which presents the lost and re-discovered ancient book of formulae. 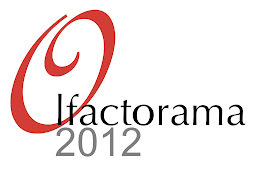 Among the modern perfume houses I presented on this blog, I wish to underline several which had a significant olfactory contribution to the new Renaissance of the perfume - Divine, Arquiste, Kilian, L'Artisan Parfumeur, Editions de Parfums Frédéric Malle, Patricia de Nicolaï, Olfactive Studio, Francis Kurkdjian, plus a more personal choice Le Huitième ART, inspired by me and my writings. 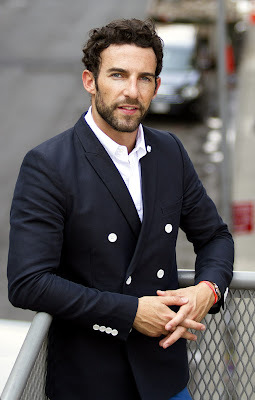 This new decade was undoubtedly dominated by the work of several great names: Alberto Morillas, who signed an impressive number of ultra original creations à Genève, Daniela Andrier and her work for Prada in Paris, Yann Vasnier with Rodrigo Flores Roux for Arquiste and Tom FORD in New York, Calice Becker for Kilian. It is, obviously, a very short list for 1300 new launches this year, but the very good start for the appreciation of the art of perfumes and its new Renaissance. I left several articles on this blog, among them my L'Heure Bleue, the key perfume I love so much. After the blue hour, a new dawn for Beauty. 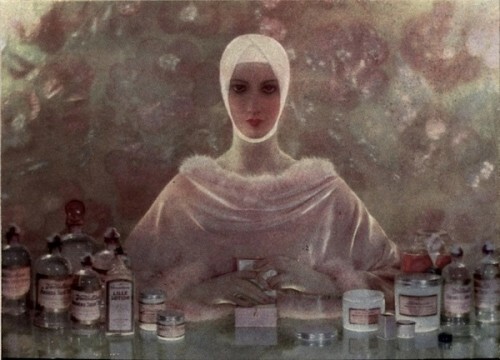 Today, more than in any historic period, the in-house perfumer is the only key for the survival of a beauty company producing cosmetics and perfumes. Odors are in the public space and in the public domain. They belong to anybody who has the ability to catch and bottle them. The role of the perfumer is to ensure than the right scents are offered under a certain name, not only beautiful, but also coherent and with a certain uniqueness. When you open the door, you recognize the house through its unique odor. 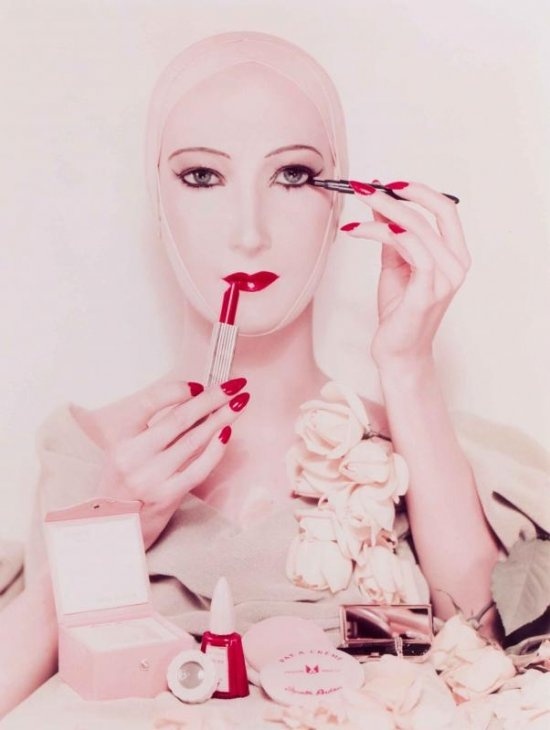 Cosmetic giants spend many hours submitting briefs to various perfume houses. They select and reject perfumes. But nothing is trashed, everything is perfectly recycled. The worst thing is to see the trial you've been working on for months launched by the competition. The rejected fruity body cream that becomes a niche perfume wrapped with an artistic discours in the exclusive range of the competition. Irony is part of the game. The main task of the in-house perfumer is "originality", being original at the right time, going back to the origins of the Beauty House to redefine it for future. There is no such thing as the "never smelt before" perfume - everything is a copy, reproduction, interpretation of something. However, bringing the right thing at the right moment is something in a universe where it takes an afternoon to replicate a new launch. The original is the unexpected, the surprise, like un coup de foudre. Working for many houses / briefs allows the perfumer to be aware of the zeitgeist, the trend, the fashion, the scent of an era. He imagines things and recycles them because they are his formula. Who owns the formula sets all the rules of the game. Because the in-house perfumer doesn't work for other brands, he doesn't interfere and can be totally loyal to the spirit of the house. He has a nose in all bottles, but his soul is not "polluted" or "corrupted" by other styles. The confusion is the dominant note today - there are so many brands today and so many new launches. In such an environment, whether it is called artistic niche or mainstream (the only difference being the price and the points of sale), it is very easy to duplicate what other did. The "re-done by". But such brands, and there are more to come under your nose in 2013, are only the result of recycling - like articles about new launches where the words of le discours are recombined on websites and forums by "people" with pseudonyms as if they were computer algorithms. Being an in house perfumer means adding every time a new "variable" to the system - a new odor, a new molecule, a new idea, a new design - something which is unexpected because it originates elsewhere than in the bottle next door. It means also setting new standards - the quality of the raw materials, the re-definition of each olfactory family, always with a red thread. The in-house perfumer generates the scented maze of a cosmetic house, the invisible architecture of dreams. Millions of customers, using creams, lotions, soaps, perfumes, live the dreams and desires which have been conceived for them behind the red door. Like a golden chain, a perfume is built from fragments and accords. If it is mere duplicated by a simple GC analysis, it will slowly lead the woman to their origin, to the first idea or products still on the market, to the "most holy". If the thread is fragile, not "red" enough but "blue" or "white", the consumer will be guided to other doors. Like in religion, people adhere not to the Truth, but to the most organized system, the most coherent expression of what they already know. They adhere to order, which has the same significance as in architecture. 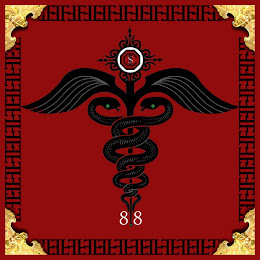 A red thread which defines the quality of ingredients and reunites the perfumes of the house which do not belong to the same group / family or the same historic period. Rivoli / rue de la Paix St.Augustin / av. des Champs Elysées. Street numbers do not reveal the age of the new master when the style is as youthful as the first day. 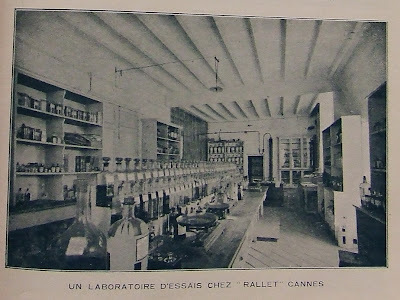 Before I arrived in Paris, the "most holy" or the perfume lab of a house, was open only to clients and mistresses - women are muses, their skin serves to test the essence. The ART of Perfumes was a notion from the distant past with the exception of 2-3 houses which preserved a certain tradition. There was no intelligent conversation about the depths of this noble profession, except those which were too secret to be considered even real, or those too superficial to have any impact. What is not told, shared or written doesn't exist at all. 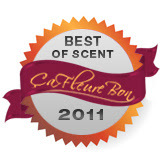 In house perfumers almost did not exist eight years ago. Could you invite a woman in an empty house? A certain Beauty Gospel is translated into scents which evolve to you redefining the red thread, ni tout à fait la même, ni tout à fait une autre. New perfumes, new beauty products. 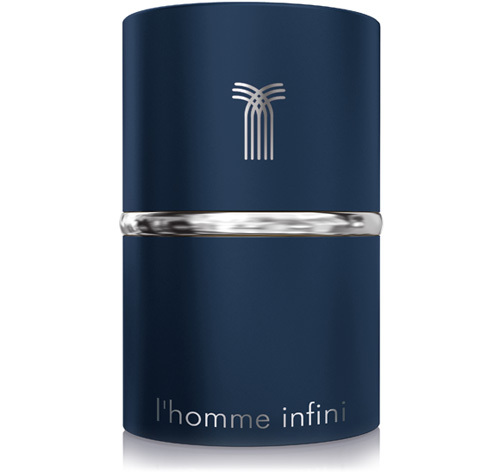 After the Big Bang comes the Divine particle - L'Homme Infini - a fabulous scent. In the early 90's an eminent professor from the University prepared me on quantum mechanics for the National Physics contest which I won. Among the many formulae and their mathematical background was a certain philosophy and conversations which I thought more useful for what I always loved - perfumes and organic chemistry. On a metaphoric level, the perfume, a form of LUX in its Latin expression, shows a similar strange duality to the famous particle-wave duality. A physical / chemical dimension of small elements which act around you with a "magnetism" and an invisible power like a "field". No surprise that "magnet", "aimant" and many other similar words related to its forces were used to speak about creations from the past from Coty to Gabriela Sabatini. It is a form of poetry to "explain" the profound effects of the scent which enters your nose - "what you inhale has direct access to your brain". L'Homme Infini, recently launched by Divine, is one of those perfumes profoundly anchored in a tradition which transcends time or space and links the invisible traces left by its author, Yann Vasnier, in his previous works. Like the previous one, this was an instant coup de foudre. The essence of Bang, with its strong peppery woodiness, emerges in the dark Druid forest which surrounds the Western coast of France up to the place where Divine was born many years ago. It is a profound homage to the oak, the bitter astringent facet of its bark rich in tanins which are perceptible in several vines. 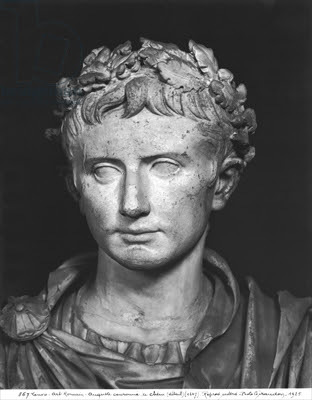 Take the oak of roman emperors, the sacred gui/mistletoe (Viscum) and the houx/holly ilex and you have the expression of divine transposed in a scent from the forest. Many notes are evoked by this wonderful scent - thuya, sage, artemisia, the bitterness of wallnut leaf and nut (nux gallica) and cypres. It is also the natural odor of Christmas because these plants are often associated with this period of the year. Serene and slightly spicy with metallic elemi and pepper, L'Homme Infini brings something which hasn't been around for many decades - sharp bitterness - and I am thinking about a perfume I love very much with a Tibetan theme (I do not name it because it became too expensive even for me on e-bay since I started to praise very good old perfumes). 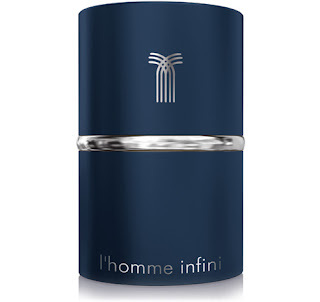 At the heart of L’homme Infini (Divine) lies the oak theme, warm and serene, but the new element, compared to Bang and the woody vetiver facet of Terre, is the green element - almost pungent over the soft musky sensual base with new Givaudan musks. Like in the previous successful creation, the theme is highly stylized because very modern elements are used to evoke and not to depict known themes in perfumery. There is oud, but not the arabic one (mixed with balms) - it is the wood rich in tanins much like a perfume created for Tom Ford. Green nutty and abstract smoky with a vetiver which floats between rhubarb and the bitter aldehydic skin of a frozen pomelo, L'Homme Infini offers a sensation of nobility, distinction wrapped in the sensuality of a pure white cotton shirt. Monastic by its "herbal" mixture, but terrible sensual through its woody muskiness, the creation has a profound effect on the wearer without disclosing its "secret" tonality in a similar way to the original Black Cashmere (DK) on the other side of the spectrum. Those who loved the first Gucci pour Homme with its incense-woody theme, not monastic but sensual, will discover with L'Homme Infini the infinity of nature - the green sacred forests with oak. A concentrate of perfection with a tremendous sillage. It is one of the best masculine launches of the year with none of the classic Parisian tricks - lascive fruity sweetness. With L'Homme Infini, Yann Vasnier introduces with grace a new theme in perfumery - the oak - a note well know in oenology, but not as often used in perfumes, with one notable exception sold in a green bottle. 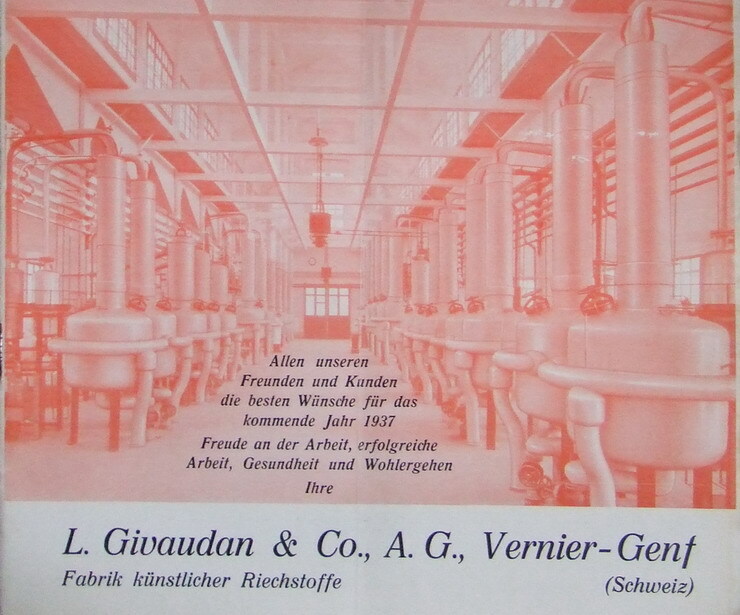 A very old creation from Givaudan was based on "green oak", but it is probably totally lost today. With L'Homme Infini, based on many new ingredients, the art of perfumes re-discovers a very old theme - the wood, the true bark of a tree famous like the tree of life. Like the classic oak crown, the perfume surrounds you with an infinite aura of beauty. When you wear this perfume, you are in the middle of an old druid forest en Bretagne. Stones, oaks, coup de foudre - this is l'Homme Infini signed by Yann Vasnier for DIVINE. This year we celebrate one hundred years of pure magic - L'Heure Bleue, the masterpiece of Jacques Guerlain, the most important perfumer of the XXth century with Ernest Beaux. 100 years ago Balkans were the hottest subject in Paris, the Balkan wars of course, but also the curiosity for a world that was totally unknown, full with mysteries, dark stories and amazing decorative elements. Folk art, music, dances, fashion, everything came from the East. Fashion designers took the embroideries like Paul Poiret after a fashion tour in Eastern Europe. Coty became a different person after his first trip in northern Moscow (through South Balkans, Romania would play a capital role in the story of his Empire) and the support he received from Rallet, who supplied the company with capital, distribution, know-how and ... formulae. The most fashionable place in the East was Livadia, the new magnificent summer palace has been recently inaugurated by the Tsar on Black Sea coast, while Peles Castle was the marvel of the Carpathian Mountains. Other less known "trends" came from trips perfumers made with the Orient Express when they discovered a world wild, archaic and scented. But Jacques Guerlain brought the most precious things from a trip he made in Eastern Europe. 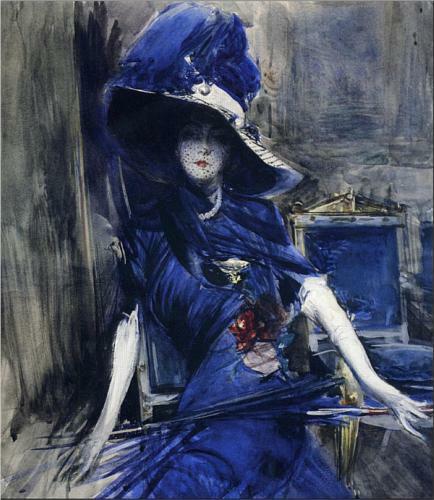 He brought Kadine, the captive beauty from Istanbul and the idea for the ultimate masterpiece, L'Heure Bleue. He brought also Bulgarian rose oil whose production started at the time when he made Le Jardin de Mon Curé, a quality superior to anything else known in Paris. Like most of creations imagined by Jacques Guerlain, often with a double meaning and rich poetic connotation, the 1912 masterpiece is both "l'heure bleue" (the blue hour) and "fleur bleue" (the blue flower). It is the perfume of the blue flower during the blue hour, something which has little to do with impressionist paintings and more with the ideals of Goethe, Romanticism and the European folklore, all set in a magic context. Impressionism was Aimé, not Jacques. 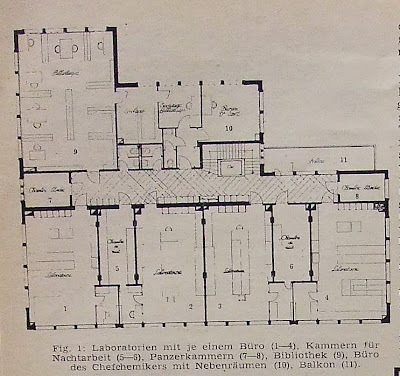 In Eastern Europe, Jacques Guerlan had a special sensorial experience, something which is unique, archaic and mysterious. Back to Paris he set the wonderful experience and theme in his own universe using for his poetic quest an inspiration previously found in one of his earliest perfumes. With L'Heure Bleue, Jacques Guerlain develops the four stages of a true masterpiece: the magic moment, the divine inspiration, the aesthetic ideal, the nature reinvented. "L'heure bleue" refers to a special moment of the year which takes place between June 20 and June 24, between the June solstice and the birthday of St. John the Baptist (whose relics are now in Bulgaria). The night before 24 is known as Sânziene in Romanian popular tradition where the oldest European traditions and myths have been preserved. 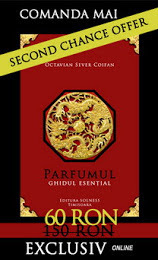 The Romanian source is found in his personal history at the turn of the century, a Guerlain theme I revealed ten years ago. This unique moment in Nature has several meanings - those days the plants have their best odors and magic properties, aromatic and scented plants are traditionally harvested and girls place flowers under their pillow to dream their future lover. All these ancient agricultural traditions are infused with odors and have a very special and highly scented dimension. When aromatic plants are harvested during the blue hour which starts on June 20 but most specifically the night of Sânziene, they have something unique. Cosânzeana is in Romanian folklore the name of the most beautiful girl while the name "sânzeana" is the mixture between saint and fairy. The most beautiful maidens in the village dress in white and spend all day searching for and picking the flowers known as Galium verum they use to create floral crowns they wear upon returning during the blue hour when they turn into fairies dancing in circle. Heavens open during the blue hour and magic events are commonly reported in Carpathian Mountains in places known as forbidden forests. It is because of the plants with a unique chemical profile. One of the herbs used in l'Heure bleue is related to a scented plant know as "Sânziene", the traditional magic plant used in European folklore. Sânziana is a herb similar to "herbe de la saint jean", it has a strong golden color, but the original highly scented type is found only in Carpathian mountains. It is the magic herb par excellence, used against evil spirits and for love spells. 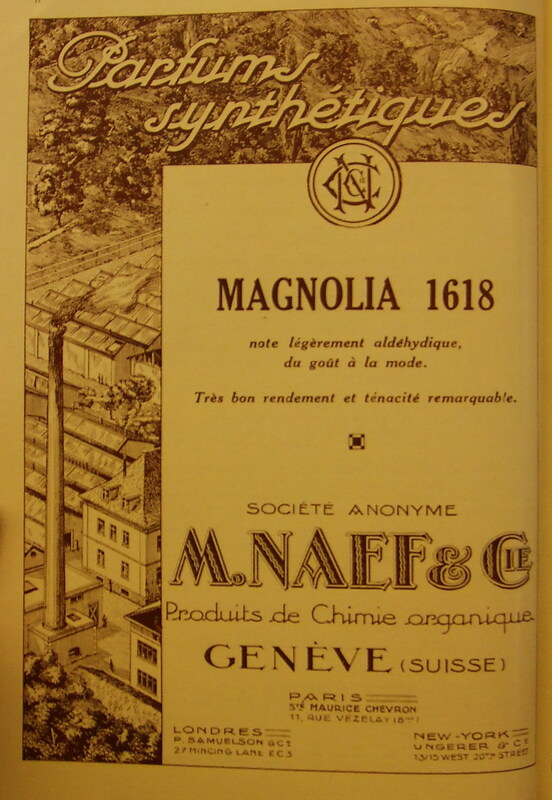 There is however a notable difference, the real plant has not been extracted yet for the perfume industry, what you have in l'Heure Bleue is something similar. True Sânziana flowers found in wild forests smells like a mixture of hay, wild thyme and immortelle, with accents of artemisia, chamomile and lavender absolute. "Herbe de la Saint Jean" is also a magic tradition in France, a sorcerer's herb harvested June 23. However, there are many botanic plants known under this name in France, harvested during the blue hour or in the morning with the dew. Only one is the true inspiration of Jacques Guerlain when he discovered the magic scent of a scented floral crown. The "secret" of L'Heure Bleue and one of its original aspects is the aromatic bouquet which crowns the perfume in the most unusual setting. This is the magic scented floral crown of Sânziene discovered one summer during a special trip. The blue flower, the Romantic flower par excellence with deep spiritual connotations from Ancient Egypt to Nepal, represents for Jacques Guerlain a flower archetype and one of the earliest attempts into pure abstraction set inside a natural theme. The literary symbol of the blue flower appears as a symbol in the work of the German author Novalis where it symbolizes the joining of human with nature and the spirit, the understanding of Nature - the ideal of Jacques Guerlain. The symbol of the blue flower is at the heart of Romanticism, it is also the ultimate inspiration, the metaphysical striving for the infinite which characterizes the art of Jacques Guerlain. The idea expressed also by Goethe is based on earliest poetic studies concerning the primordial archetypal plant and the Linnaeus system, a flowering plant from which all plant forms might emerge he formulated during his visit of Palermo gardens in 1787. In Italy, Goethe searched for the archetypal plant trying to find the original flower. 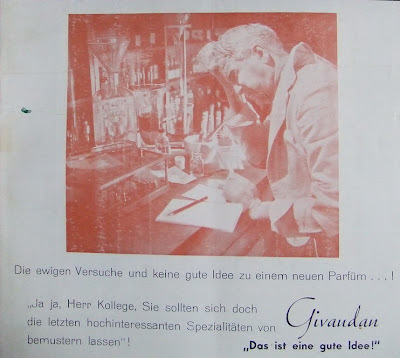 The theme of the ideal flower set into an ideal perfume was first experimented by Paul Parquet, the great perfumer from Houbigant who based his perfume on a discovery he made in Bulgaria. He was from the same generation with Jacques Guerlain. The project of Paul Parquet was to construct an ideal form of perfume, a pure abstraction inside the perfume structures which were developed in the past 200 years in France. 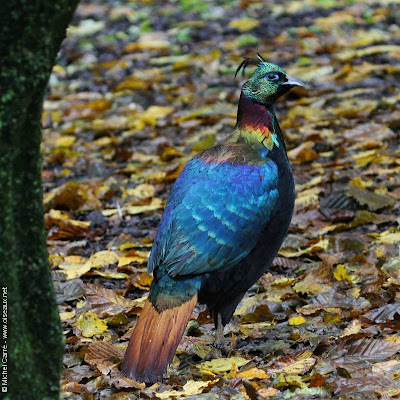 Jacques Guerlain took the notion of ideal to the most profound level - Nature. He constructs the blue scent as the Nature would do and for this the study of the correlation between color and fragrance was crucial. 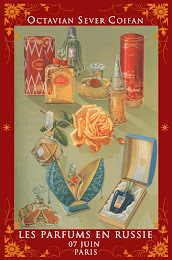 Jacques Guerlain was the Leonardo da Vinci of perfume - meticulous, precise, highly innovative and deeply mysterious. He invented and perfected everything. The portrait of the ideal blue flower is realized through poetic representation. 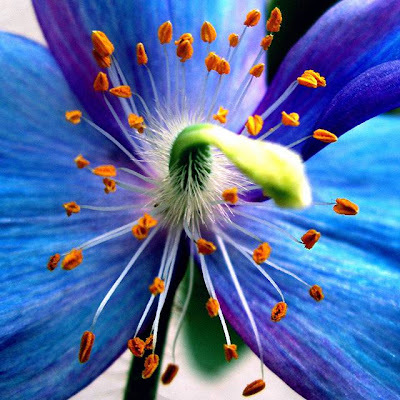 The Blue Himalayan poppy (Meconopsis), a flower who started a real craze among connoisseurs since late XIXth century, is the equivalent of a metaphysical perfume. The flower itself, hard to find in Europe 100 years ago when "poppy" was a major perfume trend, has not a strong characteristic perfume. 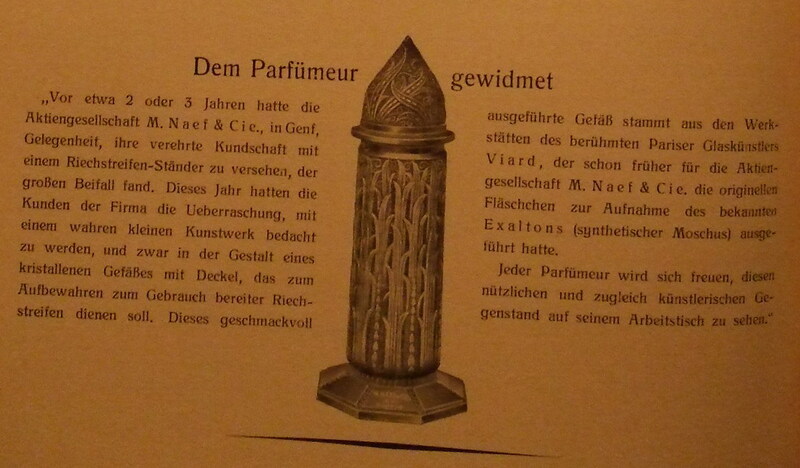 Forbidden scents like meconopsis were also a part of Jacques's intimate agenda. In order to portray the ideal flower, Jacques Guerlain painted everything in blue, taking inspiration from plants with a particular blue flower. The essence of the ideal blue flower is something found in flowers with a blue to deep purple color. He designed the blue note using the scents of the blue sweet pea, blue heliotrope, blue hyacinth, violet and blue orris. L'heure bleue is one of the most complex examples of the 8th art because everything in the perfume is the result of imagination. Because no real blue flower extract was available in 1912 he imagined the scents of each accord based on olfaction. Blue sweet pea plays a central role inside L'Heure Bleue, it was also a type of flower very popular and highly scented one century ago when horticulturists created highly scented types. A specific blue cultivar was the most scented true blue flower he could use as an inspiration for his poetic representation and understanding what a blue odor might be in Nature. The predominant, but not exclusive, colors of bee flowers are blue, yellow and ultraviolet. Blue is the perfect counterpart of the golden Guerlain bee symbol, but blue scented flowers are not quite usual in the vegetal kingdom and their odor is rather delicate for the human nose. If Nature has developed a strong pigment to attract pollinators there was no particular need for a strong and sophisticated scent chemistry. There are not so many blue flowers with a strong and characteristic type of perfume. Blue flowers like the Himalayan blue poppy or the Egyptian blue lotus have a particular symbolic connotation. They are ideal flowers, flowers representing the quest for infinity. When they have a very delicate smell it is to suggest that their real perfume is beyond the visible world. One of the candidates for the blue flower of Novalis and Goethe is a variety of sweet pea. They were first domesticated by a monk named Father Cupani, who found them growing wild in Sicily and the original mention of the plant was in 1696 in his book - Horthus Catholicus. They were one of the flowers Goethe might have discovered in Palermo when he discussed the notion of variety in plants. Sweet peas were the plant of choice for the breeding experiments by Czech monk Gregor Mendel on which the entire modern science of genetics is based and this allowed Henry Eckford the great variety of cultivars, sweet pea sensation which started after 1888 when he developed an impressive number of cultivars with amazing colors and sweetly scented flowers. There were more than 250 types in 1901. The choice Jacques Guerlain made for the blue sweet pea as his central theme inside l'Heure Bleue is also personal. 200 years after the Italian monk domesticated and mentioned these sweet scented flowers, Jacques Guerlain signed his perfume - Le Jardin de Mon Curé - when he entered in contact with monastic scents and histories. Sweet peas were common around churches and in 1912 a blue variety of Lathyrus, highly scented and highly decorative, was available and it was the inspiration source behind the floral accord with sweet rose-honeyed heliotrope-hyacinth undertones. Unlike l'Origan, where Coty used a base which reproduces the scent of orange flowers, the orange flower is just an ingredient in l'Heure bleue. Jacques Guerlain used a specific molecule for a very different purpose - contrast. Like in a real painting if you want to emphasize the blue, you add something orange - for L'Heure Bleue, the pictorial concept, a very successful technique in perfume design and easy to learn, meant using a strong orange contrast brought by the ultimate molecule of the orange flower note. For the brain, orange flower (fleur d'oranger) smells orange because every time you smell and recognize its odor you "say" orange (and not néroli). The orange flowers are white but the symbol the brain retains is the fruit, its shape and its color - "the odor is what you see". L'Heure Bleue contains a particular honey note, specially chosen by Jacques Guerlain. First, sweet peas have a delicate sweet honey note, but a "blue flower" perfume cannot be designed without honey knowing that blue is one of the main colors perceived by bees. Honey note is quintessential in this perfume formula because Jacques Guerlain did not base his masterpieces on scent only. True perfumes have to be designed with the true understanding of nature and life where the scent is only a fraction in the general equation. A precursor of l'Heure Bleue in terms of symbol, theme and odor was Azurea (Piver), launched a decade earlier in Paris, another forgotten masterpiece of the 8th Art. Jacques Guerlain achieves in L'heure bleue the poetic representation of the ideal blue flower set in the magic context of June solstice, the three days when the gates of heaven open during an archaic festival celebrated with a floral crown made of Sânziene. Another archaic theme, also from South Eastern Europe, is the love potion prepared precisely at this moment during an ancestral ritual. It is known in the West through "A Midsummer night's dream" by William Shakespeare, but its origin and floral period correspond to old Thracia. Both rituals trace back their roots in Antiquity and are related to other less known properties of several scented plants. which could be considered entheogens (entheos = animated with deity + genesis), sacramental plants used in initiation rituals and mysteries. 100 years ago, the flower associated with Shakespeare's opus was considered to be a type of purple pansy. The scent of this Viola tricolor, very woody, was poetically reproduced by perfumers starting with 1890's and in L'Heure Bleue is a very distinct accord created around a molecule produced at that time by Chuit Naef. This floral universe is present in an ornamental interpretation at the entrance of a Guerlain "house". One should remember that none of these flowers is just a metaphor. Euphoric states, love and desire correspond to many chemical marvels of Nature accessible to the expert perfumer's nose, but for the modern man, unable to protect the beauty of Nature and its endangered species, it is better they remain a poetical fiction in a forbidden forest. 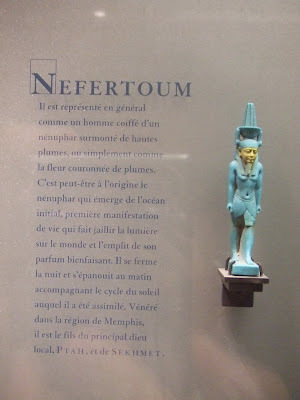 One century ago, Paris was (re)discovering the ancient roots of folklore and history. L'Heure Bleue was the magic of a summer before the Rite of Spring (1913, Diaghilev) exploring the secret scents of nature when heavens open during the blue hour. The bottle becomes the magic calyx protecting the scented corolla. The stopper of L'Heure Bleue is a heart because Sânziene is a pagan festival of love in the wild Carpathian Mountains. The label is round like the crown of Sânziene flowers and the dance performed at blue hour in the forbidden forest. The curly design on the label and on the bottle is also reminiscent of the Sweet pea flowers. The magic crown of the fairy, represented by the original aromatic bouquet, is associated with the sweet pea note, a plant with a monastic past and often found across churches (Le Jardin de Mon Curé and the painting used for the perfume ads). This way, the meaning of "Sânziana", both saint and fairy, is recreated in a poetic way by Jacques Guerlain in order to express his ideal - the quest of the blue flower during the three magic nights which start in 2012 on June 20, the summer solstice. Blue poppy or Meconopsis - in bloom in Nepal. 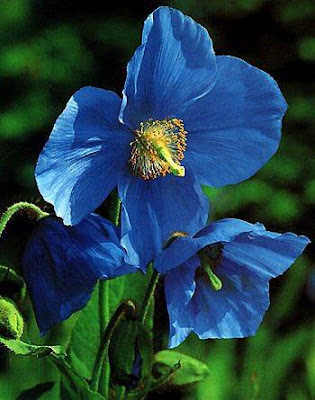 The Himalayan blue poppy, was described for the first time in 1886 by L'abbé Jean-Marie Delavay who brought to Paris several small seeds after a visit in Tibet. Jacques was 12 years old, he lived in the new family house with a Renaissance angel decoration near the door and windows with a small green dragon. We'll never know if these flowers bloomed in Delavay's garden, Le jardin de mon curé, because the first specimen brought to Europe officially belongs to Frederick Markham Bailey in 1912, the year when L'Heure Bleue was launched. For this reason, the plant is now known as Meconopsis baileyi. Bailey was a British intelligence officer and he was born in Lahore, the place who would inspire later Shalimar (Jacques Guerlain). Jean Marie Delavay was a great botanist who assembled one of the largest botanic collections in Paris Natural History Museum, most notably the Yunnan collection. It is a place where I go every spring. The blue poppy is used in traditional Tibetan medicine and one member of the Meconopsis family contains powerful molecules acting as psychedelic drugs, but its chemistry has not been enough explored. The blue flower or blue poppy from "Shambala" was an ideal flower in 1912 like Goethe's inaccessible flower, but the imagination of the perfumer knows no space limits when the emotion of sacred flowers and sacred rituals are recreated through poetry. When Heaven's forbidden doors open every year for three days on June 20, the calyx of the most beautiful flowers reveal the corolla of Nature's marvels - the divine jewels of ideal Beauty. Heaven's sent - the Perfume. Several months ago Firmenich invited me to join the team preparing the anniversary of Hedione, one of the most celebrated and known molecules of the XXth century. 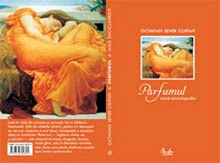 In the anniversary DVD, along with François Demachy (for Eau Sauvage) and Firmenich specialists, I spoke about the impact of this molecule on the art of perfumes since one of the most unexpected historical perfume, retracing the source of the ideal freshness from the earliest Eau de Cologne (XVIIIth century) to Eau Sauvage (1960's), Acqua di Gio for Men and CKOne in the 1990's. Thanks to Acqua di Gio for Men, a miracle, I understood Hedione before I knew what this molecule is. The perfume has an impressive aura and the 90's were basically these two perfumes for men floating all over around. A perfume is a masterpiece when you can remember it after a decade without any "private" souvenir. Hedione contributed to this magic like Lyral did for feminine flowers and of course a salicylate which is beauty par excellence. All started several centuries ago in Italy with a perfume formula who knew many variations and names but the same spirit - an ideal freshness - the most known today being the Feminis, Farina and 4711 versions, updated since their first creation. In the original Italian formula there are two special ingredients of the outmost importance. One is jasmine, the other is orris, they are all present in traces in a time when modern powerful extracts (absolutes) were not known. Italians did other type of extracts, let's say more original. Smelling the original old italian formula I remade this year it is impossible to detect them in the drydown because their purpose was not the odor but the trace effect. They were not used for their characteristic facets (sensual jasmine or powdery orris notes), but for special effects often brought by under dosed ingredients. The mysterious nose who invented the sparkling freshness was searching for a Hedione like material and another special orris component. 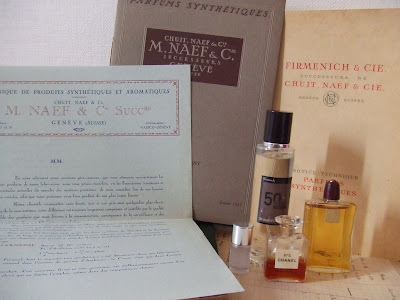 After 200 years, Chuit and Firmenich solved the XVIIth century mystery and gave to perfumers what they were dreaming since the first formula was imagined in a monastery - jasmone and methyl jasmonate plus an entire collection of jasmine jewels. When natural jasmine is used in trace inside a lemony composition (citron composé), you get the jasmone-jasmonates effect. Every single intuition in perfume design is explained by chemistry which is essential to this art, to understand nature and to conceive new perfumes. Today, every perfumer knows that Eau Sauvage (1966) was immediately followed by the trend of Eau Fraîche where the orris-beta ionone plays a strategic role as it plays in many natural scents, often under dosed. The last developpement of the 19th was Eau de Bulgari which is nothing else than the translation of a chemical relation found in Nature, the XVIIIth century principle transposed from lemon to bergamot. Earl grey tea odour is based on bergamot flavoring while the organoleptic principle of Ceylon tea is represented by methyl jasmonate (and other characteristic jasmine elements) plus molecules related to the ionone-damascone family. This is why the odour of tea was already used in perfumery in the XIXth century as I showed in the past. "I created a perfume whose odor is the reminiscence of a spring morning where the odors of wild daffodils and orange flowers are mixed shortly after a rain shower. 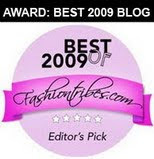 This perfume refreshes, stimulates my senses and my imagination." 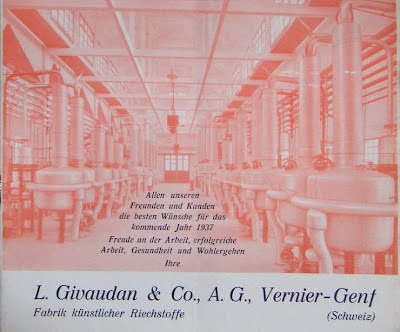 This pursuit for a wild freshness inspired Eau Sauvage where Edmond Roudnitska made the XXth synthesis of three families - the freshness of the original Cologne, the earliest coumarine-lavender tonality of new mown hay and fougère plus the chypre, in its most purist form as it was perfected by Houbigant in the 30's (when the "archaic" labdanum Coty facet was underdosed). With Aqua di Gio pour Homme, the ideal freshness, transparent and immaterial, but radiating with a strong sillage, was pushed in a new dimension adding the new watery elements because water itself became available for perfumers - it is Calone, but many other notes which play a major role in the transparent green freshness. 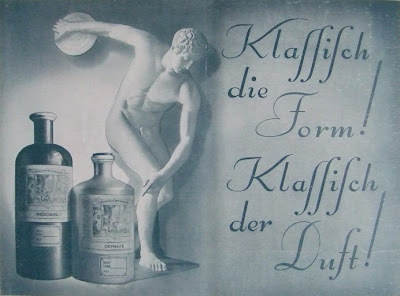 They were all discovered by Chuit Naef (now Firmenich) since early 1900's when the company started to investigate the freshness and the "watery transparent" element present in every plant. Every single complex plant odor has its "water/air/sap" molecules which do not smell necessarily like "plain marine water" but act as a fluid giving the true to life dimension in a reconstitution. For instance, Firmenich developed the green watery sometime fruity violet notes, used from Le Parfum de Thérèse to l'Eau par Kenzo. I call these molecules "Odeur Sève" because they refer to the "fluid" of the fragrant plant, which is not necessary green like the crushed leaves, and can be understood once you study "the aesthetics of fluids" related to human body, a concept which belongs to philosophy and art history. Hedione belongs to a very complicated and rich family of molecules present in the jasmine like flowers. These jasmonate family might be described as the quintessence of jasmine. Decomposing the natural odor of jasmine into its myrrhiad of facets and molecules, you will discover that some smell jasmine, other are not at all characteristic to this flower, while other have a little contribution to the odor. What makes a jasmine a jasmine, or the inner soul of the flower, has been at the core of the perfume art for many decades. For some it was just a pursuit to make cheaper jasmine versions of the absolute, but for creative perfumers it was the abstract input to play and master a jasmine tonality inside a complex perfume where notes tend to overlap. 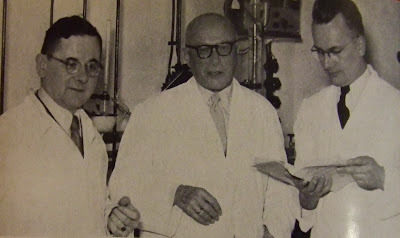 "Edouard Demole discovered methyl jasmonate in 1957, accomplished a synthesis of Hedione in 1958, synthesized methyl jasmonate in 1959, placed both materials under intellectual protection in 1960, and published these discoveries in 1962. " Synthetic jasmine notes are more useful than the expensive absolute because they bring its characteristic notes to light and the concept of jasmine can be manipulated at will. In fact, despite their "chemical" name, they are natural constituents. Jasmine is at the heart of fragrance chemistry at Firmenich for more than 80 years. 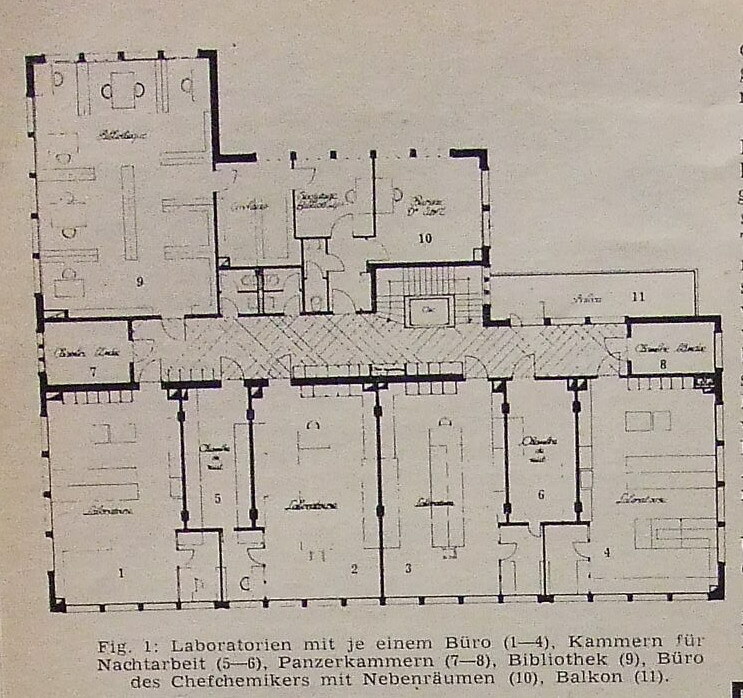 Ruzicka determined the structure of jasmone in 1933, a compound much used by Roudnitska in his perfumes. 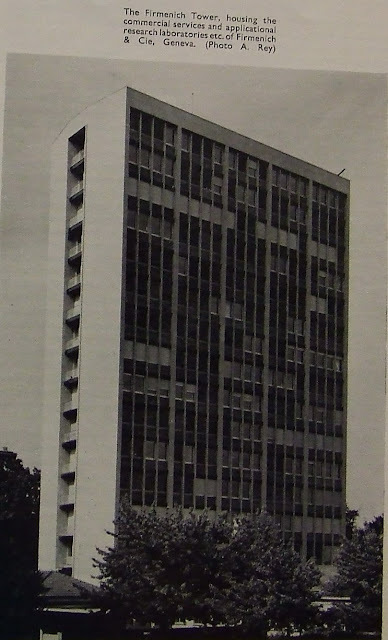 Demole made jasmolactone and methyl jasmonate in 1962. Further, these jasmonoids were discovered in other plants as well, sometime in the most unexpected places. In some plants they act as hormones, for some butterflies they are pheromones. Many details about the science behind the jasmine notes can be found in the magnum opus Scent & Chemistry (p.259-266). The natural constituent is (-)methyl jasmonate, while Hedione is methyl dihydrojasmonate (cca 1,8% in Eau Sauvage). Its cis isomer is considered at least 70% more powerful leading to commercial qualities with an increased amount of this isomer like Hedione HC (75% cis). Another commercial quality gives the special cachet to a Cartier perfume I adore. Hedione is present in all modern perfumes, in some it contributes to the amazing quality: First, Cristalle, Anais Anais, Ysatis, Pleasures with Hedione HC, Carita with Paradisone. The amount is 8-20% in these perfumes. Hedione, made available in 1962, brought even a more complex dimension - air. The molecule, delicate at first time, is incredible radiant and tenacious having an impact from 0,02 to 20% and more in a perfume. With Hedione the perfumes started to dance and diffuse. The natural jasmine absolute, the delicate yet characteristic green note studied by Roudnitska, the presence of Hedione and other memories from the early 60's were briefly presented during a conference last year by perfumer Raymond Chaillan. 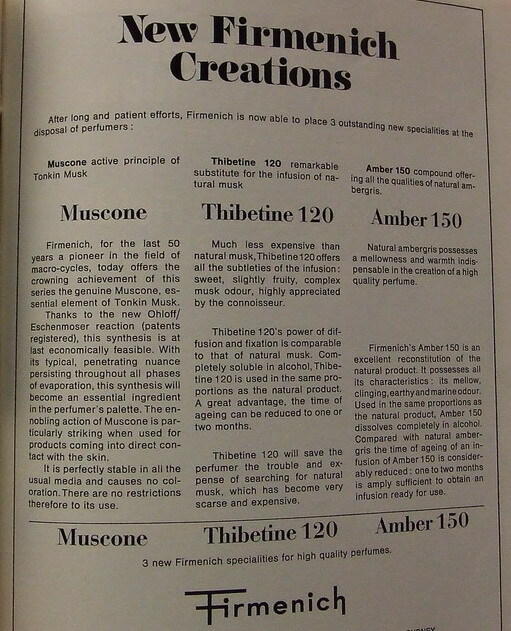 The perfumer would later co-sign my two favorites from the 70's with a floral jasmine note among many other forgotten products. 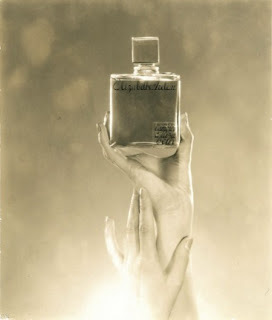 It is difficult to say which perfume used Hedione for the first time since it was made available for perfumers in 1962. Eau Sauvage (1966) made it famous as a single ingredient, but we should not forget it was made to be used in jasmine bases. With Hedione alone, perfumes became a presence, something not easy to obtain in perfume creation. Any composition has a note and the aura of the note, the most difficult to obtain, you can smell it on the blotter or you can smell it around like a real presence in the room. Not all molecules and not all combinations generated in the past 150 years have this amazing property, the ultimate goal of any perfume - pure abstraction and auratic presence. A perfumer who sought all his life for this unusual property, the perfect balance between "fixed note" and "volatile note", was Ernest Beaux. He passed away in 1961, he didn't had a chance to work with Hedione and all the other swiss jasmine jewels. I was redoing the other day a floral Rallet perfume with 12+ intricate accords which give an impressive result, highly tenacious and highly diffusive in an abstract jasmine context (but not No5). Chuit Naef was very Chanel in terms of style. Their classic compositions since 1920's were so beautiful and abstract. 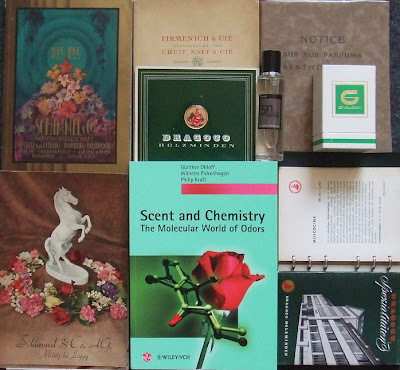 Also, some of them were used in the classic Chanel formulae, both for perfume extracts and the eau de toilette - for instance their collection of roses and many other fantasy flowers which entered in the formulae signed by Beaux I have in my collection. Hedione event comes with the anniversary coffret made by Firmenich, a CD with the history (and my picture), an amazing perfume composed by Alberto Morillas and a collection of perfume specialties. Some of the modern Hedione jewels, modern jasmine molecules developed by Firmenich, are present in the anniversary coffret. The perfume Hedione 50 was composed by Alberto Morillas and represents the lifetime quest of a perfumer for the ideal freshness - the air of a garden, the naturalness and the light. The ideal place where everything is in peace and harmony like several hundred years ago when Farina moved from Italy to North and recomposed the "water" of the new genesis - a new chapter in the history of perfumes. I was wearing for several months the first version of Hedione 50 (the one presented in the coffret is a modified version). It is hard, if not impossible to speak about light in perfumes as it has no direct olfactory reference and pure white light defies even visual description, it is something beyond, the ultimate sparkle. But the first Hedione 50 translates this sensation of water and light, the rain, the ocean (a special aldehydic oceanic note), the dew of a garden and the sparkle of water on a rock. Of course it is a woody ambery strong molecule used in touches and the shadows of many ingredients I recognize but not necessary to be used for a description. It has the vibe of Aqua di Gio, Omnia, CKOne, Eau par Kenzo, not their clear, understandable and recognizable "odor shape", but the abstract principle which vibrates through these modern perfumes. The perfume Hedione 50 is based on a selection of Firmenich jewels, incredible molecules or compositions which are part of global scent culture. 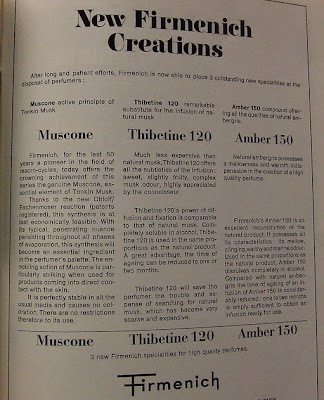 12 key ingredients, like the 12 key accords in the old perfume Ernest Beaux was working for Rallet in Moscow 100 years ago, stand in the anniversary coffret from Hedione. Hedione, Hedione HC, Delphone, Delphol HC, Splendione and Veloutone (powerful molecules for white flowers discovered during a lifetime jasmine research), Mandarinal, Grapefruit and Tamarine (amazing sparkling citrus notes, compositions with original notes of a bitter, cold and arctic freshness), Cassis (the most famous modern specialty and the global standard for this fruity note in the past 30 years), Sandalwood (the opulence and sparkle of this particular note with mud&Jungle like notes using almost the same combination Beaux did in the woody facet for Rallet with the ingredients available in 1912) and Wardia, the crown jewel of all roses. 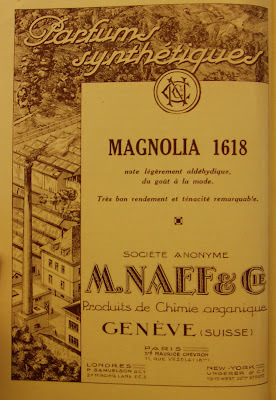 I love Delphol HC with its pêche de vigne touch, Splendione for its magnificence, Hedione HC and Wardia, all because magnolia makes me dream and mainly the lost Beaux Magnolia for Chanel. The perfume itself consists of many other intricate notes which contribute to its richness, naturalness and long-lasting freshness - a "water" for the future or maybe the air and morning dew on flowers. The modern bergamot dominates with touches of wood and musk evoking the original accord of CKOne, underlined by a lemon aldehydic grapefruit facet while green galbanum-pineapple notes are mixed with a faint suggestion of rose-tobacco-dried fruits and a sensual woody drydown, so characteristic in sport perfumes with sparkling cocktails. 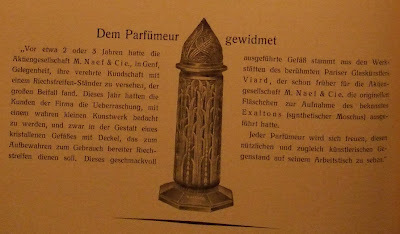 It can be modified in many directions, for instance with Thé Noir Extrait Firmenich, bergamot, touches of guaiac and beeswax 0,1% or a magnolia-narcisse abs 0,1% touch. Not a perfume for the market, but a creation for pleasure and joy, Hedione 50 represents the endless Swiss quest for beauty and lightness, a form of youth and resurrection. Not a single obvious reference to the past, except the own perfumes of Alberto Morillas like an abstract code or heart of his creations. What is perfume creation? A future projection and future memory in uncharted lands where the best and new molecules serve for the invention of a new dawn. The past is always the fragrant moment "seen" by the creator, a fiction, as if he had to rebuilt the world once again from pure water - Aqua Admirabilis. 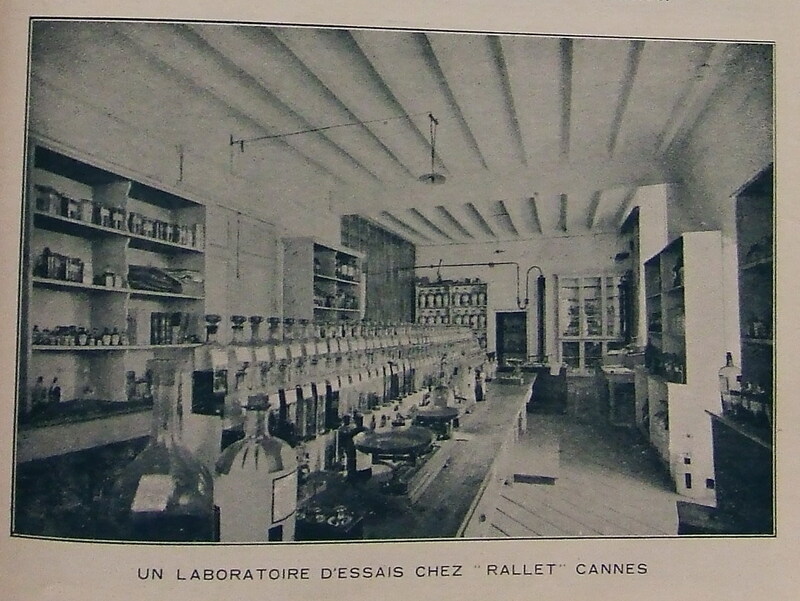 Because perfume is like time machine, two molecules in particular would please Ernest Beaux when he was working in 1912. This is precisely what I did, adding them to the old formula I remade for my pleasure, plus the amazing vanilla CO2 Firmenich I love, regretting that I still haven't found an equivalent for the forbidden musk molecule vibrating in the drydown of Aimant and original No5. Every good formula from the past can be resurrected when it is understood and when new ingredients are available to make it bloom once again at dawn in the natural cycle of Beauty. PS: The original Italian formula and Hedione 50 (first version in the big bottle) make a perfect perfume, I couldn't resist the temptation to update the Aqua, adding something even older than the Italian formula because past and future can meet only in perfumes.